hd00:22San Francisco, CA - June, 2011: Stationary wide shot from Marin Headlands looking at the Golden Gate Bridge with San Francisco and the SF Bay in the background. Day. 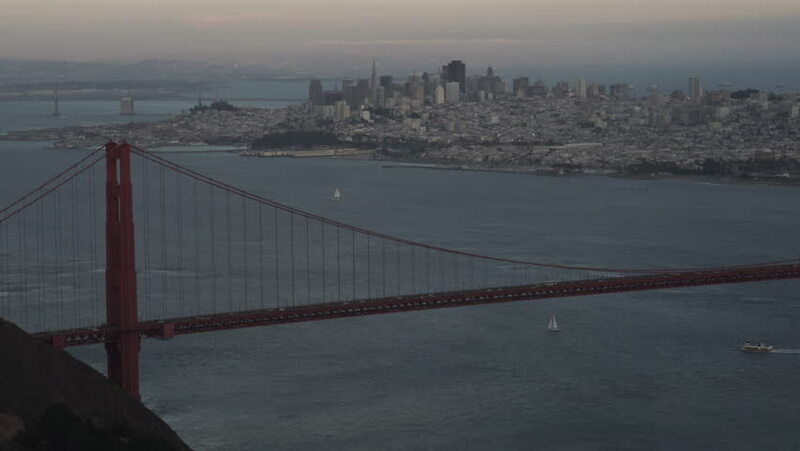 4k00:17Sunset view of The Golden Gate Bridge as seen from Hawk Hill in San Francisco, California. Shot on Red Epic. 4k00:18Golden Gate Bridge as seen from St Francis Yacht Club in San Francisco, California. Shot on Red Epic.